Baltimore County's recently announced plans to deploy a new set of "school zone" speed cameras included a surprise, when it was revealed that one of the schools on the list, Stoneleigh Elementary school, is slated to be closed for the next year. According to state laws, local governments are authorized to place speed cameras in "school zones", which was part of the deal to get statewide speed cameras passed and to mute public opposition. 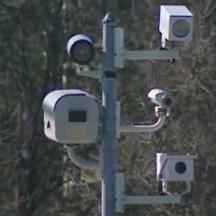 However since speed cameras were approved numerous new school zones have been created, particularly in Baltimore and Prince George's County, solely for the purpose of deploying speed cameras, in many instances on roads not immediately adjacent to any school, with some new school zones covering entire towns. Stoneleigh Elementary School is located on Pemberton road, not Regester Avenue where the new camera is slated to be located, and is about 1/3rd mile 'as the crow flies' from Regester Ave.
Baltimore County voted to expand its speed camera program in January 2012, after ACS State and Local Solutions(a division of Xerox Corporation) ran a successful "Astroturfing" campaign to win support for the expansion. Baltimore county police had at the time released a report concluding that there had been no reduction in accidents at their existing speed camera sites.